The school believes in an active and supportive partnership between home and school as an essential ingredient for a successful education. 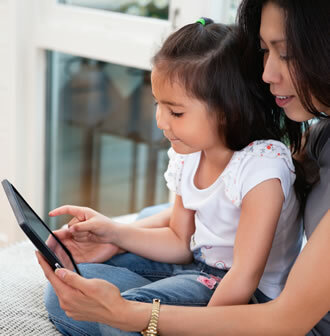 Parents are encouraged to support their child’s learning and share reading books, which are sent home regularly, and to use the maths games library on a weekly basis. Children are also encouraged to ‘borrow’ books from the new school library. Each term, information about the learning that has been planned through topic work is available to parents in a newsletter from class teachers. We welcome, and are grateful for, parents’ voluntary help in and around school, and in helping at fund raising events. You are also invited to share various functions, such as concerts, Christmas productions and sports day. We have an active Home/School Organisation, The Friends of Bromley Heath Infant School Association (FOS), and parents automatically become members when their child starts school. Several events are held during the year to raise funds and to provide enjoyable social and educational occasions. Parents’ Evenings are held during the year, when parents are able to discuss their child’s progress and reports with the class teacher and to visit the classroom and find out what their child has been learning. The Head Teacher and teaching staff will also be pleased to see parents at other times by mutual agreement if needed. If any of the above applies to your family please bring this to the attention of myself, your child’s class teacher or the school office. Any matters of this nature will be treated in a confidential manner but will help us to support your child in school. If you require separate copies of information, newsletters and reports etc. please advise the school office and supply an email address and contact telephone number.